The Grand Circle Foundation will send representatives to Tanzania with donations for the Tloma School. 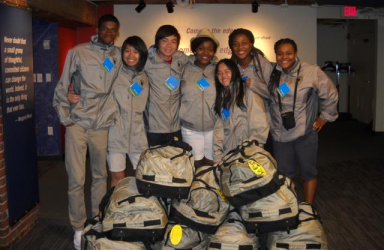 Donations collected through organizations in the greater Boston area allowed the Grand Circle Foundations Next Generation Leaders to fill 9 duffle bags with goods such as jump ropes, chalk, school supplies, and sporting goods such as footballs, baseballs, soccer equipment. The Next Generation Leaders also held a bake sale, raising $1685.80 to benefit the Tloma School. 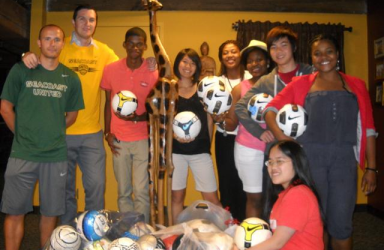 Seacoast United donated 50 soccer balls and 44 pairs of cleats. Many of the shoe donations were collected by Seacoast United player Max Berman (U13 boys). The Tloma Primary School consists of 659 students ages 5-14, with no outdoor play materials and an annual budget of less than $1 per student. Thank you to all who made donations to the ball and shoe drive, helping to fulfill the needs of the Tloma School and its students. For more information on the Grand Circle Foundation, please click here.